We have been hearing a lot lately about investors making radical changes to their portfolios and abruptly changing course with their investments, often out of frustration or impatience, in order to find some way to generate returns or avoid risk. We believe this is driven by one of the greatest obstacles to successful long-term investing: panicking when things do not go as planned. When investors feel things are not going right, they tend to conclude that, without regard to the current environment, whatever they are doing is “wrong” and they need to make major changes. This year, especially after the volatility in October and currently in November, the investment expectations of many investors are not being met. Faced with dissatisfied clients, wealth managers and institutional consultants, in turn, want to appear that they are not sitting on their hands, and so they are advocating portfolio changes as well. However, to paraphrase Robin Sharma, we caution against confusing activity with productivity. Indeed, as we approach the twentieth anniversary of the launch of our first fund, we remind ourselves that often the best course of action is simply staying the course, although this can also mean doing more work than ever… More on this below. While we do not often comment on market activity following the end of the quarter, the volatility we experienced in October (now dubbed, “Red October”), which is continuing as we write this letter, warrants a departure from business as usual. As more fully discussed below, October was the worst month for the S&P 500 TR since 2011. Many investors, in particular fundamental-oriented hedge fund managers, found the arbitrary price reversals especially challenging. According to Goldman Sachs, the average long-short equity fund was down -7.4% in October. Green means returns beat inflation; red means returns trailed inflation. 2018 is YTD through November 21, 2018. Source: Bloomberg, Morgan Stanley Research; Annual returns computed minus US headline inflation. In this environment of underperforming returns, Institutional Investor ran a report in September about the increasingly wide distance between investors’ return targets and the gains they can expect to make from their current investments. The report referenced a bfinance study that found that, as result of this disconnect, approximately 66% of institutional investors surveyed said they have entered a new asset class or strategy in the past few years. Another 9% said they plan to do so within the next twelve months. That is 75% of the group trying something new. While we always are open to new ideas, we are skeptical of institutions piling headlong into fads such as “alternative risk premia” (whatever that is), as was reported by Institutional Investor. 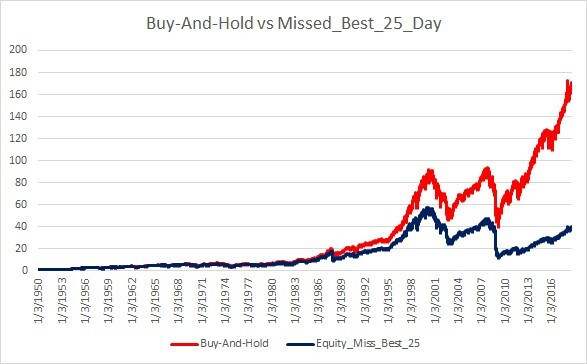 It is indeed a truism of investing that things that work in one period may not work in the next period (although one-week turnarounds really only exist to sell newspapers!). You can see that from the chart at the top of this page, and we saw it again in October. Based on data from Bloomberg, industrial stocks went from being the second best performing sector in the third quarter (up 10.0%) down to the third worst sector in October (down -10.8%). Likewise, real estate went from the third worst sector in the third quarter (up 0.90%) up to third best in October (down -1.7%). Only energy demonstrated an unfortunate persistence: it was the second worst sector in both the third quarter and in October. Staying the Course ≠ Sitting Still: We often surprise people when we tell them that we spend more time doing ongoing due diligence on our current managers than we do trying to find the next greatest manager. In this year in particular, we have spent more time than ever re-underwriting our portfolios: meeting with our managers, refreshing references with trading desks, portfolio company executives, and other investors, conducting quantitative analysis, and assessing non-investment business risks. So far this year, we have conducted 39 separate onsite meetings with our current managers, along with another 27 manager meetings offsite (annual meetings, conferences, etc.). This work has yielded action: Across our funds, we have terminated three managers, completed the exit of a fourth, and initiated an exit for possibly one more manager. We are also actively redeploying capital among existing managers (with action taken in 9 of the 12 months this year across our funds, including December). While the focus has been the existing managers, we also hired one new manager. Keeping an eye on the horizon is not easy when the waters around you are rough, but we have learned that the best investors and managers tend not to panic, jump at new, untested strategies, or make radical changes without due deliberation. Never Confuse Risk and Volatility: The recent spike in volatility that we saw in October is not the pullback we have been anticipating nor does it represent the risk we are most guarded against. As we have observed in prior letters, we do not view risk in terms of the standard deviation of monthly returns. Rather, for us, risk is the probability of permanent capital loss. As James Makintosh wrote in the Wall Street Journal earlier this year, “Volatility matters a lot if you have short-term investing horizon, because it is a proxy for how much money you might make or lose over a short period… But if you have a long-term horizon, volatility is an opportunity.” We could not agree more. How many times have we heard the advice of putting your equity investments in a low-cost S&P 500 index fund and just forgetting about it? Many people do not realize that ten years later you may end up with less than what you started with. Another characteristic of hedged funds, known as “structural alpha,” provides additional protection against market swings. Structural alpha essentially is a manager’s investment terms with their partners. By managing funds that limit investor withdrawals, sometimes over several years, managers can block out daily, weekly, or even monthly noise and stay invested, accepting short-term price fluctuations to gain greater returns over time. Although we are in the minority, we support these limitations when paired with long-term thinking since they protect us from other investors who may want to redeem at the wrong times or for the wrong reasons. We are not month-to-month investors. We believe that in this respect hedged strategies can generate better risk adjusted returns when managers are not under pressure to exit positions prematurely. As we enter the final weeks of 2018, we are reminded of an enduring observation of a fellow Chicago native, Ferris Bueller, who quipped, “The question isn’t what are we going to do. 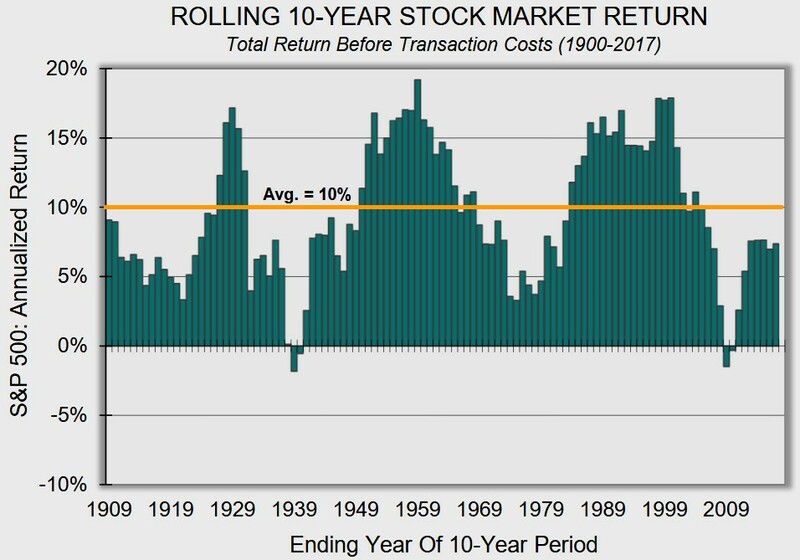 The question is what aren’t we going to do.” We can say with confidence that we are not going to change our overall objective of investing with the smartest managers out there who treat their investors as true partners, who invest the fund like it really is their own money, and have the energy and intelligence to generate superior returns over time. In other words, we are not going to panic! As noted above, the S&P 500 TR’s loss in October was the greatest single month loss for the index in over seven years and represented the worst October since 2008. Broader indices fared even worse than the S&P, with MSCI World down -9.2% and the Russell 2000 down -10.9%. For the month, the first nine trading days alone for the S&P 500 saw a -6.4% decline, representing almost the entire loss realized for the month. The remaining 14 days of the month saw only an additional -0.41% decline, yet that modest loss over nearly three weeks masked huge swings in stock prices. October alone saw the Dow experience three of its twenty largest intraday point swings in its history. Economists point to concerns over trade, oil prices, and immigration during the month. However, we believe most investors simply were not prepared for the sharp rise in volatility. October saw ten days of 1% moves in the S&P, five up and five down, compared with none over the prior three months. Hedge fund managers often get caught by the first moves of heightened volatility (like in Jan-Feb 2016), and October was no exception. However, we expect this volatility to continue and expect managers to defend capital and take advantage of opportunities better in the coming months. We are also discussing with managers the risks associated with some of the larger, more retail-oriented hedge fund firms that had 45-day notice requirements for year-end redemptions. We would expect many investors to have reacted to the recent volatility by redeeming where they can. This would likely hurt those managers with shorter notice periods, and their underlying positions may experience selling pressure later this month and in December. One common theme among managers in October was that shorts held up OK but longs suffered far worse than the market. Catalysts for this dynamic include hedge fund managers de-risking in the face of steep declines (for a period during the day on October 28th, the S&P 500 breached the symbolic negative 10% threshold for the month). We are also cognizant of the effects of quantitative, trend-following strategies that amplify volatility and the growth of passive funds. As noted above, short-term technical swings are the hardest for fundamentally-oriented active managers to navigate. We wanted to offer a due diligence tip relating to a practice among hedge fund managers known as “tax stuffing.” U.S. tax laws allow managers to reward investors who stay in a fund by taking advantage of directed gains or “stuffing.” Stuffing stems from the differences between the rules for financial reporting and tax reporting. For tax purposes, investors only pay taxes on income related to stocks when they are sold. However, typically when an investor fully withdraws from a hedge fund, they also pay taxes on any gains relating to stocks that went up in value in the taxable year but were not sold. To ensure that investors who remain with a fund are not double-taxed (once when the stock is sold and again when they leave the fund), most hedge funds have the option of replacing unrealized (non-taxable) income with taxable gains for the departing investors. As long as the character of the gains stays the same (long-term versus short-term), tax stuffing is considered equitable since a departing investor would pay taxes anyway. But the investors who remain in the fund get a corresponding reduction in taxable income and hence a lower tax bill for that year. Our due diligence tip relates to a manager’s practice of “stuffing” all partners – including the general partner – equally. At AIM, we ask our managers about their tax stuffing practices, whether they include partial redemptions along with full redemptions, whether all partners (including the general partner and any related entities) are treated the same, and most importantly whether the general partner (who has more transparency on the tax character of the gains) ever departs from prior practices in order to gain a tax benefit. Other than for accountants and hedge fund manager CFOs, this is an area that does not garner a lot of attention. We want to be sure all partners are treated equally and fairly. FICO Score Change: In a widely reported move, Fair Isaac Corp. or “FICO” is changing how their eponymous score is calculated. The new “UltraFICO” score should make it easier for people with imperfect scores to qualify for credit. "Our research indicates that 40 percent of applicants would see an upward shift of 20 points or more in their credit score," said David Shellenberger, Senior Director at FICO. Why does this concern us? 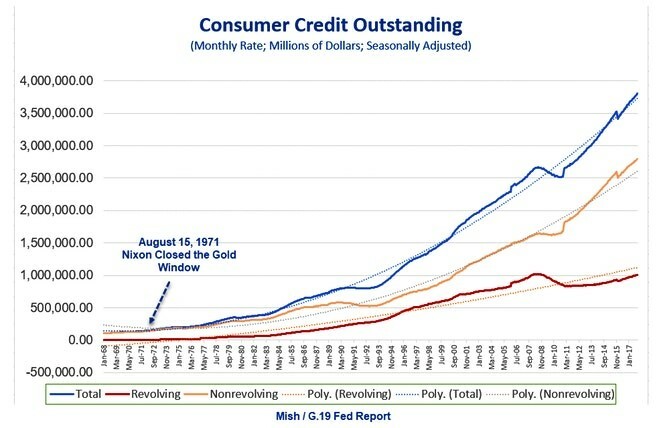 As CreditCards.com’s industry analyst Ted Rossman put it, boosting credit approvals is “a solution in search of a problem.” With consumer credit ballooning (see below), our view is that fewer, not more, credit approvals is better all around. The explosion of consumer credit, and the lessening of consumer credit-worthiness standards, is part and parcel of the growth in leveraged loans and weakening covenants noted above. Add to that a ballooning Federal debt and a grim picture reminiscent of 2007-2008 emerges. We may sound like a broken record, but what is happening in almost all areas of credit is really scary for markets and the global economy. One town in Minnesota has come up with a novel solution: hiring criminals. KEYC News in Mankato reported in November that the Minnesota Department of Employment and Economic Development has been holding conferences to discuss the benefits of hiring ex-cons, which we applaud as a way to relieve the shortage and help re-assimilate convicts into society. 1. The merits of the asset in question matter only so much, and certainly they cannot be strong enough to always carry the day. Human emotion inevitably causes the prices of assets to be transported to levels that are extreme and unsustainable: either vertiginous highs or overly pessimistic lows. 2. If the market were a disciplined calculator of value based exclusively on company fundamentals, the price of a security wouldn’t fluctuate much more than the issuer’s current earnings and the outlook for earnings in the future. And yet security prices generally fluctuate much more than earnings. The reasons, of course, are largely psychological, emotional and non-fundamental. 3. “It’s different this time” are four of the most dangerous words in the business world — especially when applied, as is often the case, to something that has reached what in prior times would have been called an extreme. But the cyclical behavior of the financial past did not result from the operation of physical or scientific rules… People’s decisions have great influence on economic, business and market cycles. And people don’t make their decisions scientifically. 4. Cycle positioning is the process of deciding on the risk posture of your portfolio in response to your judgments regarding the principal cycles. It primarily consists of choosing between aggressiveness and defensiveness... The recipe for success consists of (a) thoughtful analysis of where the market stands in its cycle, (b) a resulting increase in aggressiveness or defensiveness, and (c) being proved right. 5. 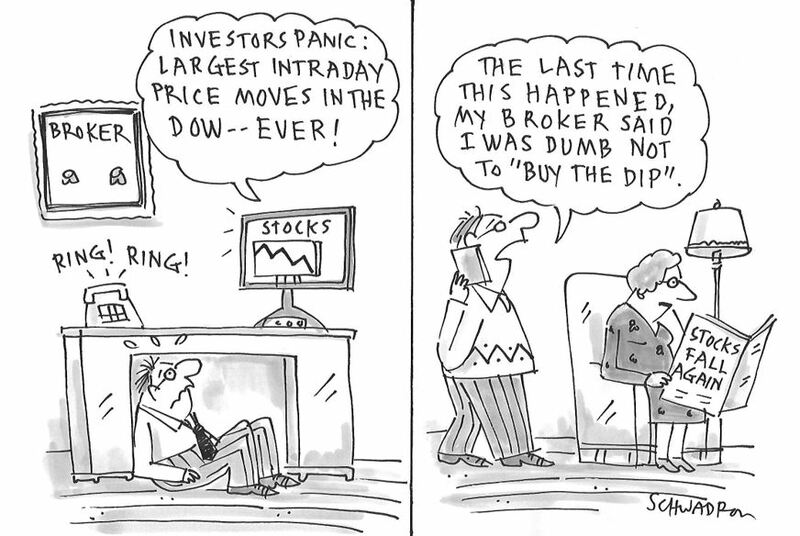 Detecting and exploiting the extremes of market cycles is really the best anyone can hope for. Between the extremes of “rich” and “cheap” — when the cycle is in the middle ground of “fair” — the state of the relationship between price and value is, by definition, nowhere as clear-cut as at the extremes. We welcome any questions or thoughts you may have.